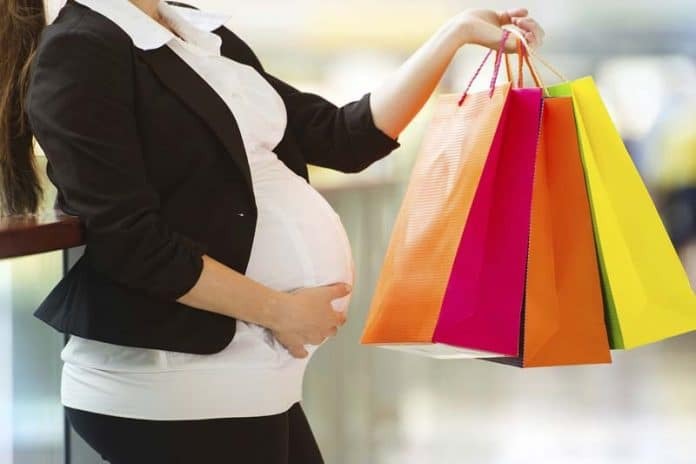 How You Can Make Your Store Appealing to Pregnant Women : If you want your business to thrive, it’s important to take the time to make sure that you cater to groups of people that other stores may be overlooking. Pregnant women are always a great group to target when it comes to owning a business. If you make certain accommodations for them, they will choose to come to your business before going to another one in the area. There are a few small changes that you can enable to attract the business of pregnant women. The following guide provides appealing ways to update your business to make it a better fit for pregnant women who come to it. Women often have many issues during pregnancy, but swollen ankles and painful joints are some of the most common and can make it difficult for a pregnant woman to be able to get around comfortably throughout the day. If you create parking spots that are located close to the front of the door, the women will have a shorter distance to walk and feel like they are valuable to your business. You can have signs created to designate a parking spot or two as pregnancy parking for your business. Trying to maneuver with a larger belly can sometimes be difficult for pregnant women. Trying to move around within a cramped bathroom is not only difficult, but it can be dangerous. If a pregnant woman were to get hit in her belly as she tried to maneuver in a cramped bathroom, it can cause an injury to herself or her baby. Create at least one large stall within the bathroom for pregnant women to be able to use. Be sure to place grab bars by the toilet so that pregnant or elderly women can easily get themselves up and down when using the restroom. There will be times when pregnant women may start to feel soreness in their feet and legs and want nothing more than to simply sit down for a few minutes to relax. Create comfortable seating areas for guests to use when they shop in your store. Be sure that the seats are large and plush so that anyone can sit in them regardless of their size. You don’t want anyone to think that your store only caters to people of smaller sizes. When you have a business that you want to draw the attention of pregnant women, you need to carry products that are specifically made for them. Carry large pillows that make it easier for them to rest at night, natural creams that help to reduce stretch marks, and foods that are healthy for them to eat and made from wholesome ingredients. You need to be sure to find out what the average family is making in the area to ensure that you charge reasonable prices for the products that you sell. If the products are too costly, no one will be able to afford them, and they will simply sit on your shelves for months or even years at a time. The more time an expectant mother has to spend browsing your store, the more money she will ultimately spend. A great way to ensure that moms are able to look around your store in comfort and peace is to have a daycare within your business where mothers can drop off their little ones to play while they peruse the shop. Be sure to hire people to work at the daycare who have been through the proper training. They need to know how to do the Heimlich maneuver, CPR, and have had early childhood education classes so that they can handle even the toughest of children. Be sure to have ample staff members within the daycare facility to ensure that no children get overlooked while they are in the care of the employees of the store. A great way to get people to buy products is to let them try the products before they buy them. If you plan to have food and drinks that appeal to expectant mothers, have samples available for them to try so that they can see if they like them or not. This can be a great way to show your customers that you are a trustworthy business, as well. They will see you as being transparent and really wanting to provide the best items to your guests that you can. Workshops can show expectant mothers, fathers, and others alike, how to use certain products properly, tips and tricks for what to expect when their baby arrives, or just about anything to do with prepping a house for a baby. Holding workshops that use products you sell in your store will get more people into your business and has the added bonus of boosting your sales through actually seeing firsthand how good your products are. When someone is having a baby, there are a lot of things that they need. Give pregnant women the ability to set up a baby registry within your store so that they can ask their friends and family to get the items that they desperately need. Be sure to have the registry loaded online so that people can buy the items remotely if needed. Consider setting up a suggestion box near the front of the store so that you can ask your customers for tips on what they think can be done to improve their overall experience within the store. You may be able to get some insight that can help you to make the store even better and boost your business even more. You want your customers to be as comfortable as possible when shopping in your store and taking their wishes into consideration can be a great way to ensure it’s as great as it can be.